It's fun to read a novel that makes me want to read all the other novels written by the author. 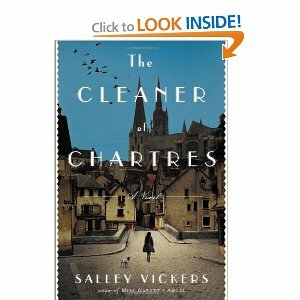 Salley Vickers' The CLEANER of CHARTRES is one of those books. The novel takes place in the town of Chartres where the Chartres cathedral is located. The main character is a lovable young lady named Agnes. Agnes is an orphan who grows up not to be a surgeon, not a famous singer or a famous author. She becomes just an ordinary cleaner who cleans an extraordinary cathedral. She cleans the Chartres Cathedral. Then, she meets other people in the community and cleans for them as well. It's not unusual that one of her clients is mean spirited. This is Madame Beck. She's like Cinderella's stepmother. "Then you like Bach.' The grave sounds died away to be replaced by a less measured, more frantic sound.' Ah, this now is Poulenc. By no means the genius that Bach was, but not a bad composer. Not bad at all. He was another who liked the organ." Victoria Christopher Murray left me with an admonition. 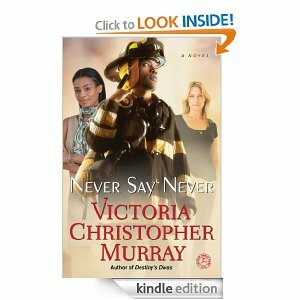 In her Christian novel, she said "never say never." In other words it's no way I can know how my mind and body will react to circumstances until those hard situations enter my life. I could very well do the unexpected. This is what happens to Jamal and Miriam in the novel. They hurt the people they really love. If asked before the death of her husband, Chauncey, would she act in such a way? Probably, she would have said, certainly not. Jamal would have also said, never. Each character in Never say Never find themselves not knowing or not having the strength to control their minds and hearts. I will never forget those three tiny words. "Never say Never. This is such an enjoyable non-fiction book about a woman, Jennifer Criswell, who decides to move from the United states to Tuscany, Italy. 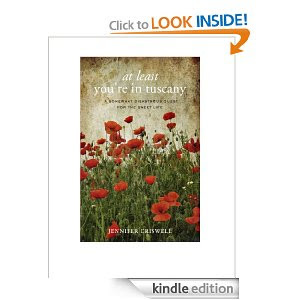 Although there is much in the story about Tuscany, there is more about how the author adjusts to a new location so far from home. This is a honest story. Jennifer Criswell writes about her personal struggles to rebuild her personal world overseas. To me, the most difficult part of the journey is her lack of funds. She planned to work, but getting a job was like finding a nail in a haystack. Finally, Ms. Criswell had to skype her parents to ask for a loan. Not easy because her father didn't mince words about thinking she had done things a little bit backwards. Then, her paper work to get a job seemed to take forever to come together. 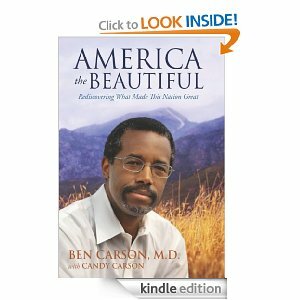 When I decided to read this book, America the BEAUTIFUL by BEN CARSON, M.D., I was sure the chapters would be about golden wheat fields, beautiful countrysides in America and the mountains and national parks. However, Ben Carson has another way of looking at America and experiencing its beauty. He writes about the Constitution, the laws, the political parties, the symbols of America as a way of appreciating the country in which we are blessed to live. His writing style is amazing. Although the subjects he write about are not simple, he is able to make his points in interesting layman terms. Bravo! I understood every word about our checks and balances, the importance of knowing ourselves so we can make the right choices in government to please ourselves and what Ellis Island and The Statue of Liberty should mean to us.